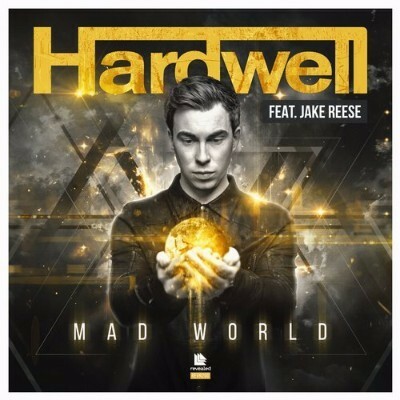 Almost five years since Hardwell founded the label, Revealed Recordings celebrates its 200th release with Hardwell teaming up with vocalist Jake Reese for ‘Mad World’. First debuted back in March during his set at Ultra Music Festival in Miami, Hardwell played the track throughout the summer and after positive feedback, decided to make it the 200th release. ‘Mad World’ is full of energy throughout and at the core of the track is decent songwriting, with a melodic structure that flows with passion and soul. Jake Reese’s vocal performance is strong but understated, providing plenty of clout without ever overdoing things. The drop is big room dance music, giving the track a crowd-friendly sheen that has seen it work on dancefloors across the globe. It’s a decent track to mark 200 releases on Revealed, and should do well with those clubbers into the Hardwell sound. Hardwell is hosting his own Revealed label night at the Amsterdam Dance Event tomorrow.